MANITOWOC, Wis. — Donna Marie (Musgrave) Covington, 76, formerly of East Alton, passed away on Thursday, Feb. 7, 2019. Born June 26, 1942 in Alton, she was the daughter of Max A. and Ella L. (Manns) Musgrave. 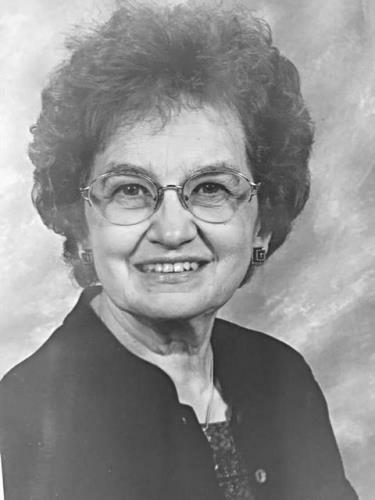 Donna graduated from Alton High School in 1960 and was a member of Calvary Baptist Church in Alton. On Sept. 22, 1962 she married Reverend Vernon Dale Covington at Calvary Baptist Church in Alton. He preceded her in death on March 7, 1997. Donna was a minister's wife and a mother. Surviving are three children, Reverend Vernon Dale Covington Jr. (Lisa), Jana Marie Sneed (John), and Julie Gayle Jansen (Craig); 10 grandchildren, Vernon Dale Covington III, Amber Baker (Andrew), Danielle Hageman, Mitchell Hageman, Brenden Risenhoover, Devin Risenhoover, Jonathan Sneed, Jessica Sneed, Daniel Jansen, and David Jansen; and three great-grandchildren. Also surviving is a sister, Karen Sue Hatcher (Jim) as well as nieces, nephews and numerous cousins. Visitation will be from 4-8 p.m. Friday, Feb. 15 at Calvary Baptist Church in Alton, where funeral services will be at 10 a.m. Saturday, Feb. 16. Reverend Andre' Dobson will officiate. Burial will be at Valhalla Memorial Park in Godfrey. Memorials may be made to the Gideons International, , , or the . Gent Funeral Home in Alton is in charge of arrangements. Online guestbook and information may be found at www.gentfuneralhome.com. I am saddened by Donna's passing but am heartened to know that she was so loved by her sister and brother-in-law, Karen and Jim Hatcher, as well as her children and grandchildren, and I am sure many, many friends in our class. She is at peace. I hope that in time all who loved her will be comforted by happy memories. May their faith comfort them now. What a sweet spirit she was. We played french horn in the band side by side starting in the sixth grade. She practiced and of course gave me a lot of support until reality set in with regard to my lack of ability. Not a surprise she became a ministers wife because even a preteen and beyond she was the kind of girl you knew would be a lovely lady thourghout her life. The world is a kinder and more gentle place because she lived. I recall Donna as a very nice person; a gentle soul. When I read her obituary, her life's path confirmed my recollection. My she live in eternity with our God she served so well. May there be many memories of love and enjoyment with her to bring comfort to her family and family of friends.